​Are you aware that your insurance company/private health plans covers our "NO NEEDLES" Acuhealth T.E.N.S. 900 -Acupuncture Kit for Home Use?Our ACUHEALTH 900 T.E.N.S is the next best thing to Crystal & Marsha's expertise!! Most INSURANCE COMPANIES/private health plans COVER ALL or a great percentage of the purchase cost. Acuhealth is a hand held, battery operated therapeutic device. It is the product of over 20 years of world wide clinical research in electro-therapy. Acuhealth is based on the same principles of acupuncture. Instead of needles, Acuhealth uses minute electrical impulses to safely detect, indentify and stimulate neural treatment points on your skin surface. HOW DOES THE ACUHEALTH RELIEVE PAIN? The stimulation of nerve points with Acuhealth causes our auto-immune system to trigger the release of both inflammatories called cortisol. These pain relievers and healing agents circulate throughout our bodies and are automatically redirected towards the site of Acuhealth's application. Both clinical and at-home trials suggest repeated applications improve pain relief and assist our natural healing process to reduce recovery time of injured tissue. Acuhealth will compliment both traditional medicine and professional therapy. WHAT IS THE ACUHEALTH EFFECTIVE FOR? Designed to relieve both chronic and acute pain syndromes, Acuhealth is especially effective in relieving the following conditions & many more.. Too numerous to list. 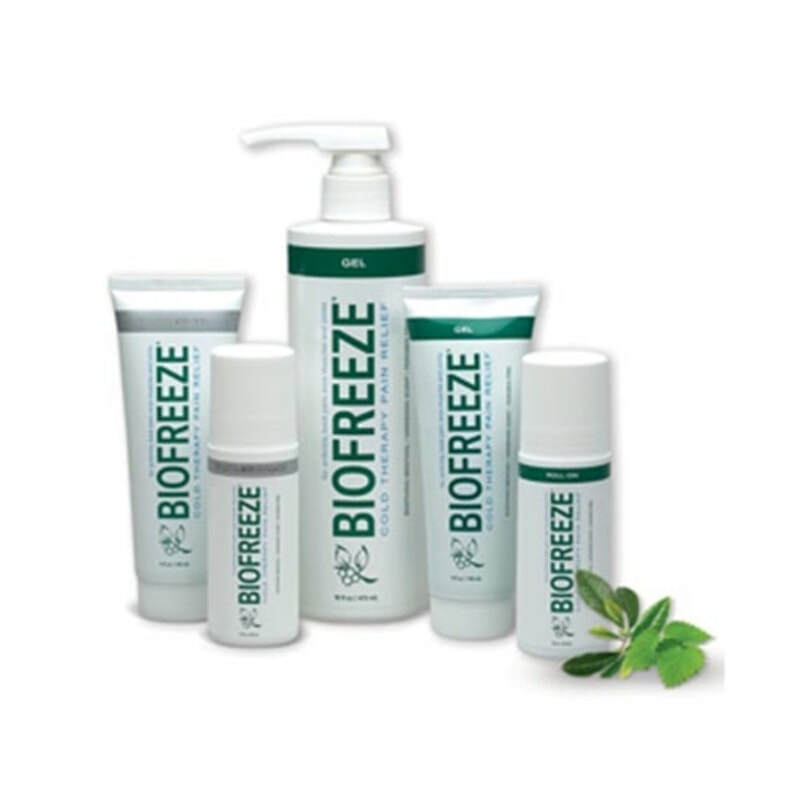 -Headaches, Migraines, Back Pain, Sciatica, Frozen Shoulder, Fibromyalgia, Knee Pain, Sore or Inflamed Joints, Carpal Tunnel, Bursitis, Tendonitis, Menstrual Cramps, Sports Injuries, General Aches & Pains and many more, too numerous to list. WHO MAY THE ACUHEALTH APPEAL TO? Acuhealth is widely used by proffessionals sports teams, medical doctors, chiropractors, physiotherapists, hospitals and pain clinics across Canada - each & every day. Now, with the Acuhealth, chronic and acute pain sufferers may enjoy home access to the same effective equipment as professional therapy clinics. Regardless of profession, if you suffer from a migraine, neck tension, overworked & stress, back pain, athlete's tennis elbow. If you are suffering now, your own personal Acuhealth will definitely appeal to you. ABSOLUTELY NOT! No previous knowledge of acupuncture or electrical therapy is required for safe use. -Acuhealth has a built in point finder which electronically searches out treatment points on your skin surface without puncturing your skin. - Comprehensive easy to use, illustrated booklet allows you to choose the specific points for a wide variety of pain conditions. The Acuhealth system is very easy to learn and may be mastered within minutes, hours - to a day. Once you receive a brief training by Marsha or Crystal, an individual can locate a desired acupoints in seconds. The entire treatment process is remarkably short (less than 10 minutes), saving you time and allowing for easy repetition. With home use, Acuhealth can reduce the frequency and dependency of professional therapy and offer many sufferers the personal freedom of a more independent, active and PAIN FREE LIFE! One Acuhealth can provide years of relief from pain, stiffness, inflammation for the whole family. 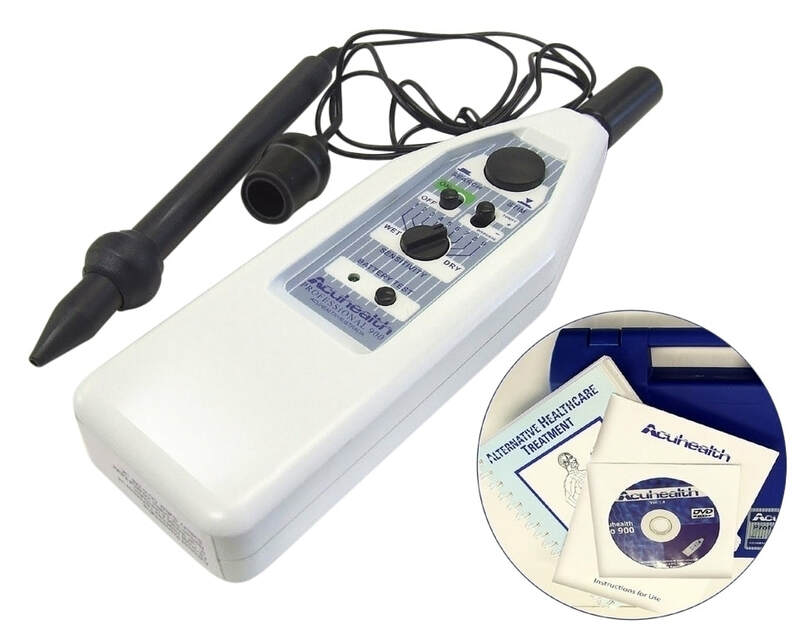 The entire Acuhealth system, including complete written manual, portable point finder/stimulator, extension probe & carrying case are available together, for one low price! Call Crystal at 705-983-0511. WE LOOK FORWARD TO WORKING WITH YOU! !